From the minute I walked in to Boa, to the wonderful staff helping me get my gown in to my car 5 months later, my entire experience with them was perfect! The shop is beautiful & that first appointment with my mum & bridesmaids trying on so many beautiful dresses was everything I’d hoped for! 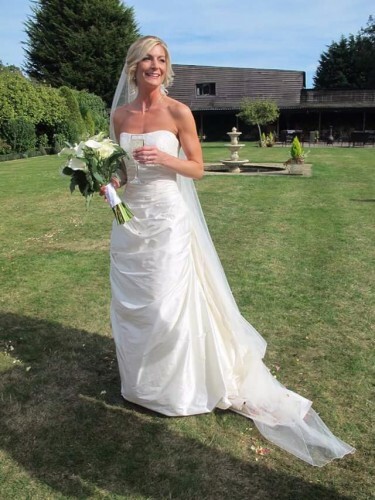 I found my dream dress – a gorgeous silk gown by So Sassi – and every time I returned to the boutique afterwards for fittings, Sheila and the staff were all so supportive, complimentary & wonderfully helpful. I was always so excited each time I went back! I can’t rate BOA highly enough. If you’ve just got engaged, definitely book an appointment – the hardest part will be choosing which of the beautiful dresses to get married in!